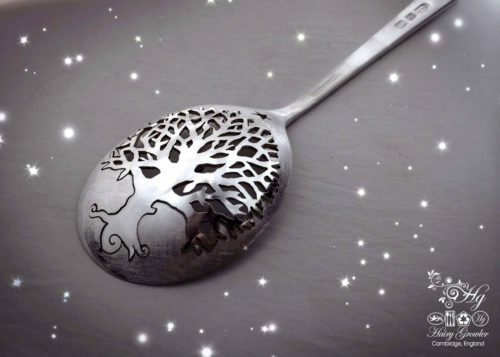 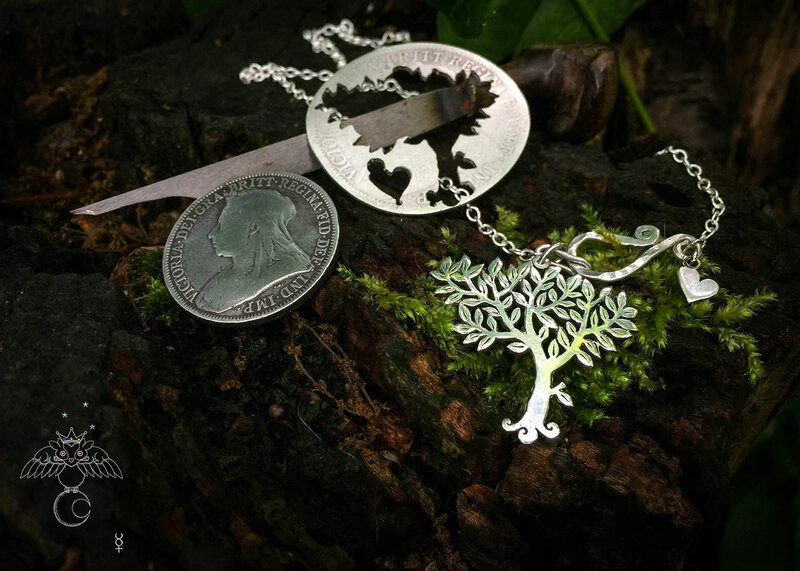 Ogham Tree necklace pendants are one of the most enjoyable items of jewellery i get to create. 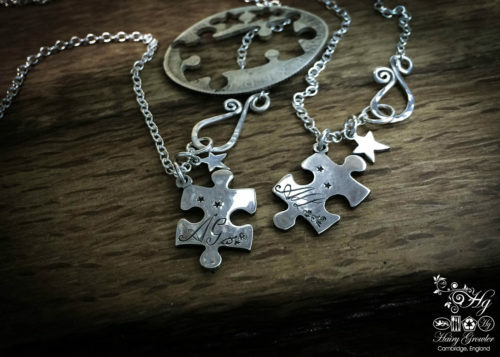 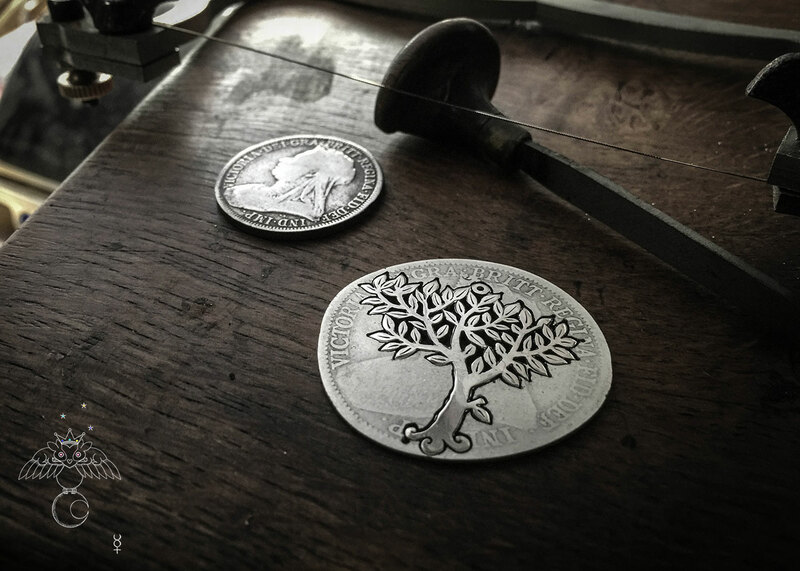 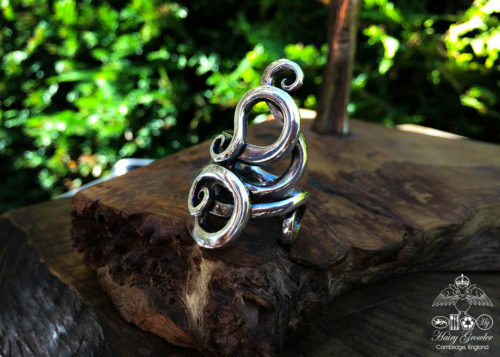 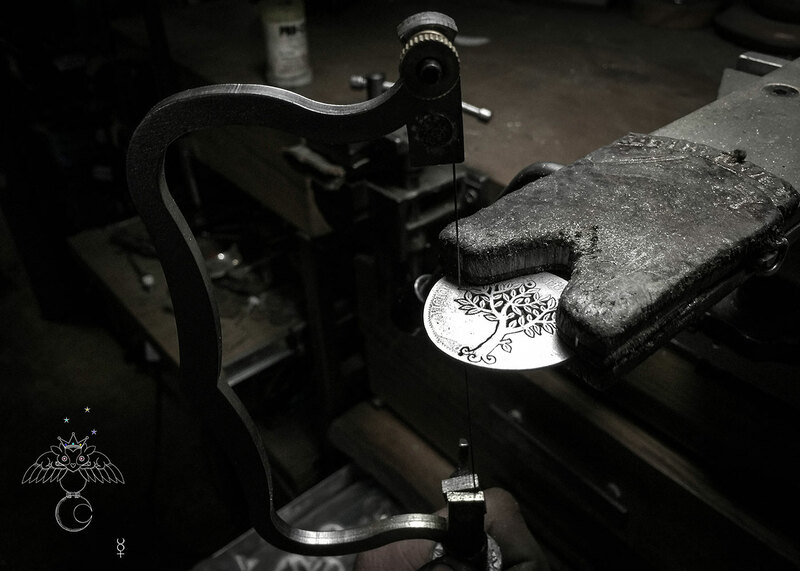 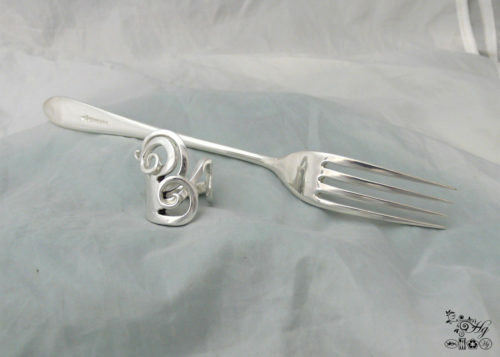 From the initial seed of the idea, the sketches, fitting the designs around the restraints of a silver coin shape, delicately hand piercing and filing, etc. 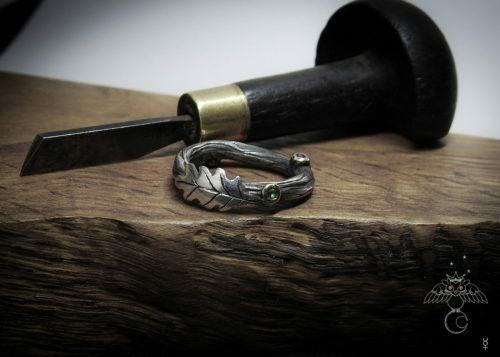 Its all lovely work and the finished item never fails to please.. me anyway! 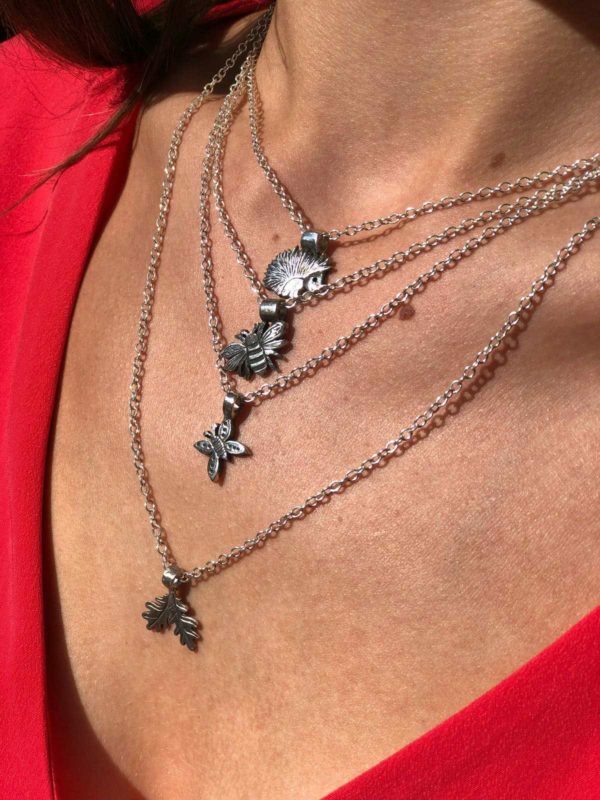 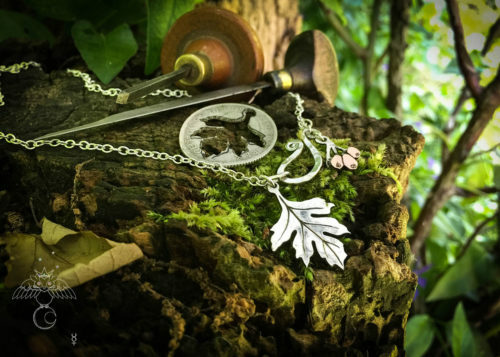 Each one of these spring-summer leaf trees is thoughtfully crafted and totally unique. 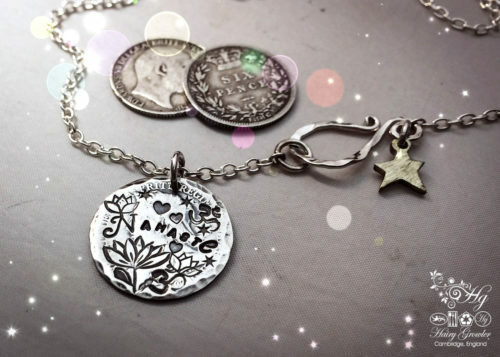 Every one recycled from old silver coins nobody seems to want anymore. 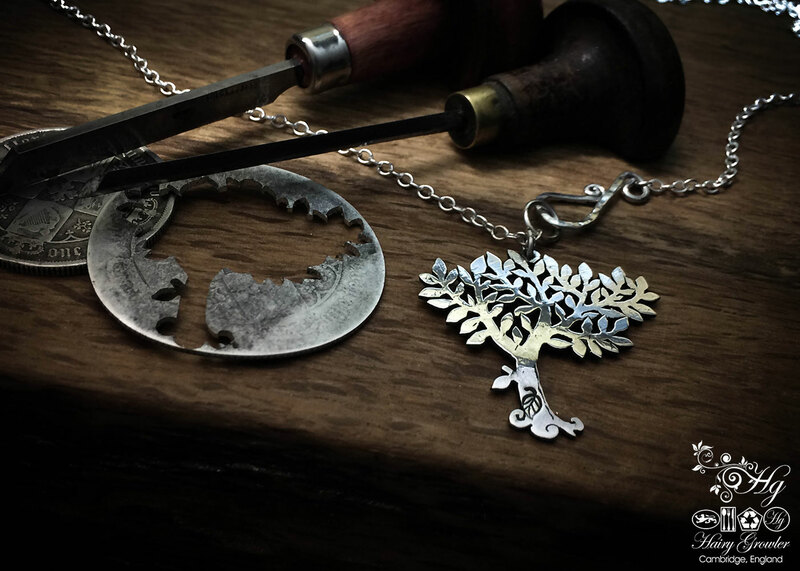 Green principles and ethical considerations, contemporary and wearable. 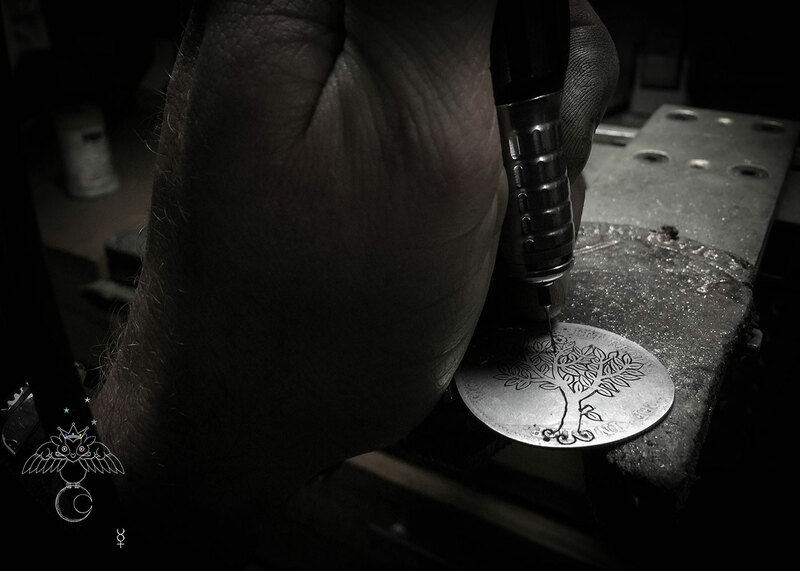 Once crafted the tree is finished with a simple mounted silver, copper or bronze star hanging freely at the bale. 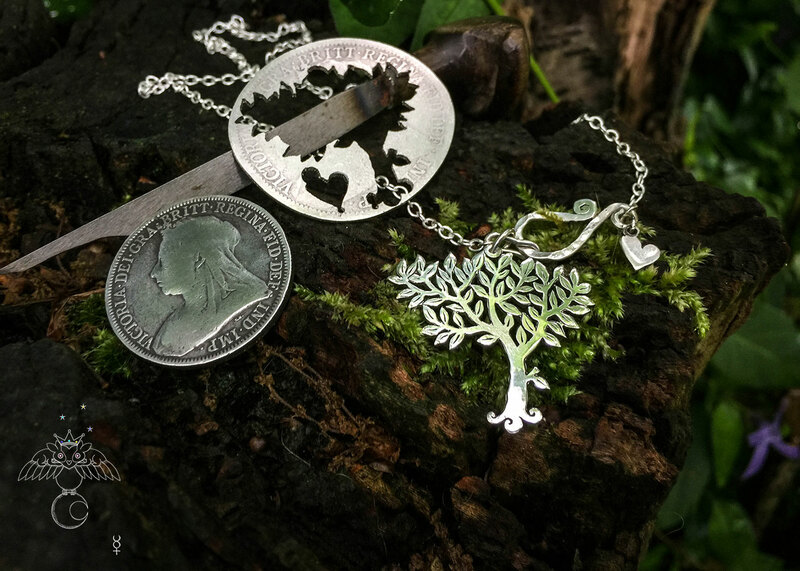 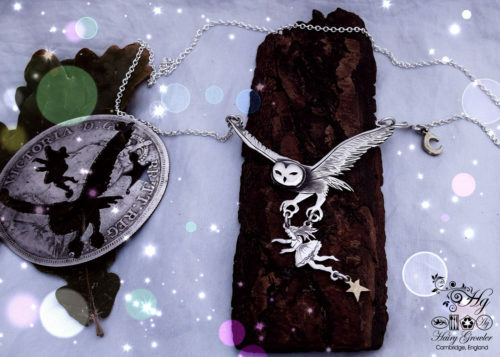 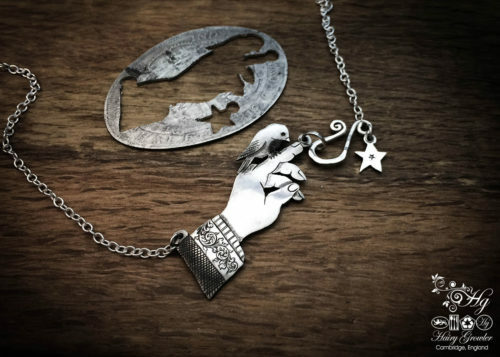 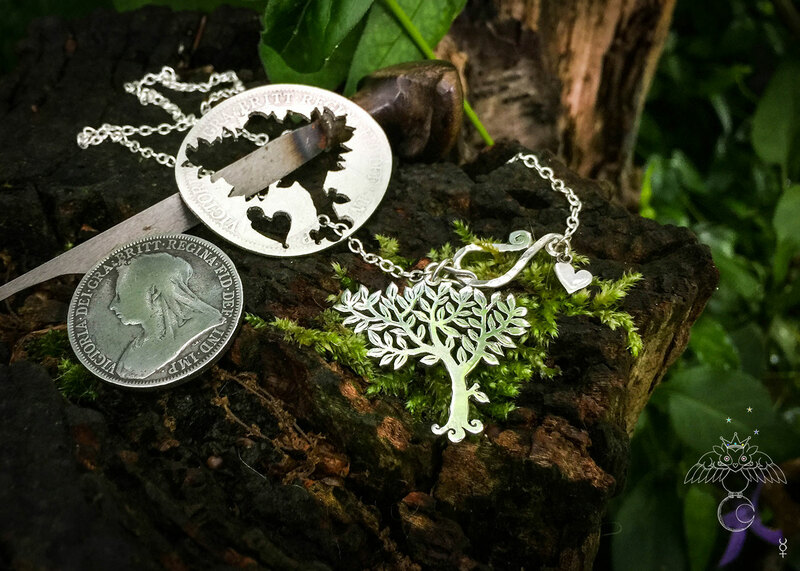 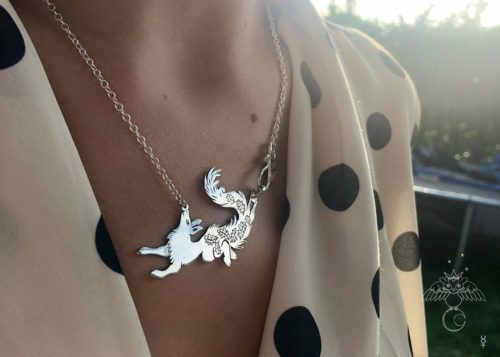 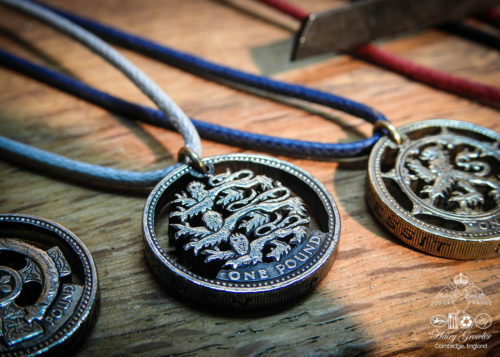 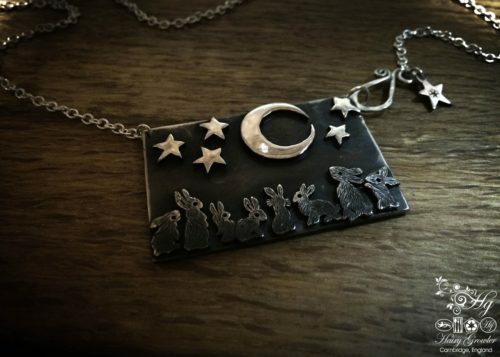 The necklace comes complete with the actual silver coin ‘off-cut’ which is a lovely reminder of its historical and green, ethical origins.